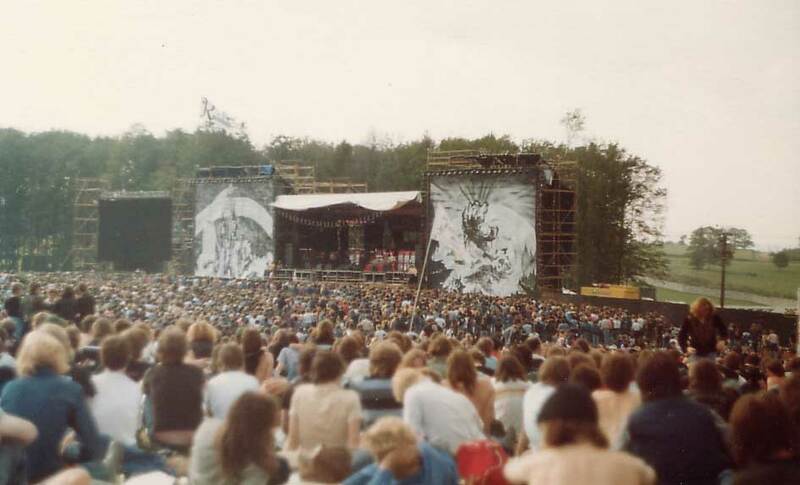 Looking back, I had heard of Riot about the same time as I did Hanoi Rocks. The difference being that I never saw Riot live and therefore it would be several more years before I actually listened to anything from them. I do feel like I missed something there. I have already reviewed two of their previous offerings, “Fire Down Under” and “Restless Breed,” both of which were damn good albums. Now that I have listened to their 1983 album, “Born in America,” I can say that album too is just as good. 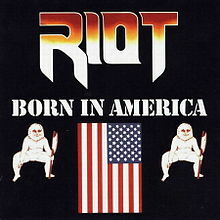 “Born in America” is another straightforward, in your face metal album from Riot. There are no frills, just great songs. The first two set the album off in totally the right direction. Things appear to slow down with “Wings of Fire.” The song suckers you into believing it’s a ballad for the first minute then Kapow! The song goes into another metal frenzy. (Note: I was going to say ‘Wham’ but that word shouldn’t be used on any 80smetalman post.) I love the guitar solo on “Running From the Law,” another good song. Next comes “Devil Woman” and yes, it’s a cover of the Cliff Richard single. Admitting my sad teenage years, I liked Cliff’s version when I heard it in 1976. Back then, that was probably the hardest song on AM radio. Riot takes the song and raises it to its full potential. Great power chords with some cool guitar soloing and Rhett Forester’s voice sounds a hell of a lot better on this song than Cliff Richard, sorry Cliff. In spite of my high praise for “Devil Woman,” it is not the high point of “Born in America.” It’s simply the climax. All of the songs that follow are superb starting with my favourite, “Vigilante Killer.” The ones that follow on are just as good. All have the trademarks of what makes good heavy metal but it would be unfair to the songs if I were to mention any one of them without mentioning the others. They’re all that good and that makes the album fantastic. “Born in America” would mark the end of Riot as it was known here. All except Mark Reale would leave the band leaving him to eventually recruit other names for the band. But that wouldn’t happen for another five years in heavy metal history. Forrester would have some solo success but again, that’s a story for later. Since “Born in America” was such a cool album, it can be safely said that Riot definitely went out on a high with it. 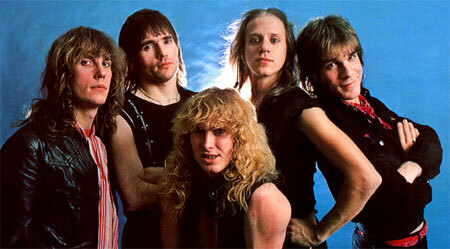 New Wave of British Heavy Metal or NWOBHM had clearly established its dominance around the world in 1982. However, thanks to bands like Riot and Y&T as well as others whose albums will be visited very soon, American metal wasn’t completely silent . Of all the American bands, the one artist who draped himself (and still does) in the American flag was Ted Nugent. In this year, the Motor City Madman put out a studio album and a live one. 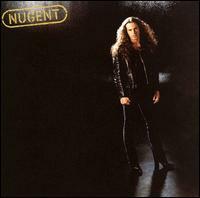 It is the studio album, “Nugent” that is being visited today. Another reason why I’ve decided to visit the studio album first was that because of my military obligations, it was another album that passed me by in that year. Yet again, it’s another album I regret missing in 1982. “Nugent” has all the classic trademarks of the things that made Ted Nugent great. Most noteworthy, as is always the case with Ted, is the fact that he can wail on a guitar. His solos are present on each and every song, though the stand out for me is “Good and Ready.” “No, No, No” also comes to mind in this respect. Apart from his exemplary guitar work, he does write some good songs. It is true that “Bound and Gagged” may be the first inclination of Ted’s feelings of fanatical American patriotism and right wing politics but I know I wouldn’t have noticed or cared back then. It’s still a cool song. That’s one problem with listening to the song with, in this case, the curse of hindsight. I also found myself wanting to sing along to “Fightin’ Words.” “Ebony” might be classed as his attempt at a single but I never heard it on the radio, not that you ever heard much of his material there to begin with. Nevertheless, it’s a decent song. “Don’t Push Me” is short and to the point and definitely one I would have used to blast out the car window while driving. Note to self, maybe I should make my own CD of driving songs. Anyway back on the subject. The way he lays down the guitar jam while the band is repeating the title works for me in so many ways. If there was one thing I would change on “Nugent” it would be the order of the last two songs. “Tailgunner” is a good song but I thought the one before it “We’re Gonna Rock Tonight” would have been a better closer. It’s just that the lyrics and overall vibe of the song make it a great song to end the album on but that’s just me. Ted Nugent let the world know in 1982 that there was still plenty of good metal in America with his two albums. “Nugent” was one of those and proved that he could still rock with the best of them. They say you learn something new everyday and the other day I did. My first experience of Y&T was in 1983 when I saw and heard their video for “Mean Streak” on MTV. I liked the band and I liked the song and that was the start of my experience with them. 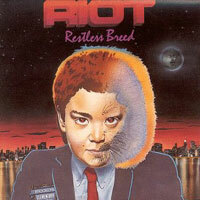 Now last week I stated that there was a song on the Riot “Restless Breed” album that sounded a little like Y&T. 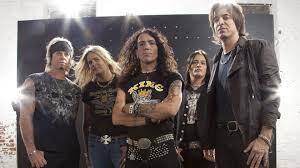 I assumed that since Riot had been around since the 1970s, that Y&T must have drawn influence from them. 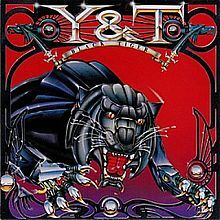 As I now dig deeper into the band’s history, (not only the album but the band too passed me by in 1982), I have discovered that Y&T’s first album actually came out in 1976, the year before Riot’s first album. So maybe it was the other way around but that doesn’t matter. It was a good song and the 1982 “Black Tiger” album is a good album. If you heard the 1985 single “Summertime Girls” and think that was Y&T, forget about it. “Black Tiger” is a true metal album. I like the introductory first track “From the Moon.” It is an instrumental with some flashy guitar work that simply draws you into the rest of the album. 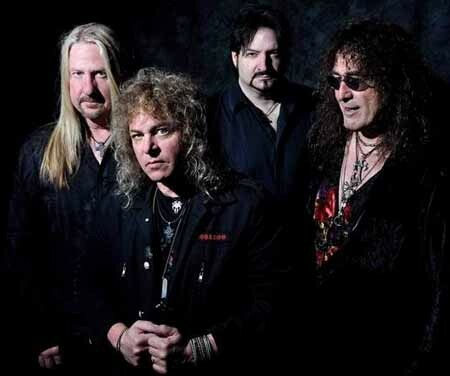 “Open Fire” is a rip roaring track that holds you interest and Y&T puts their personal stamp on this one. I love the guitar solo on “Don’t Wanna Lose,” Dave Meniketti does smoke the finger board on that one. After your ears get bashed around a bit by the next few tracks, which the track “Forever” stands out the most. This is one of those catchy anthem type songs that you can sing along with. It also opens with a gutsy guitar intro before going almost thrash, wow was all I could say. Things take a more boogie rock approach with “Barroom Boogie.” This in an enjoyable song and one I would put down as a good drinking tune. Unfortunately, the next song, “My Way or the Highway” is the weakest link here. It has some good moments but seems to let itself down in some places. However, things go out very nicely with the near ballad, “Winds of Change,” a really good song. So with “Black Tiger,” I have found another band where I must go back and listen to some of the early stuff. The price I paid for serving my country back in 1982 was that I missed a lot of great albums and some great bands. 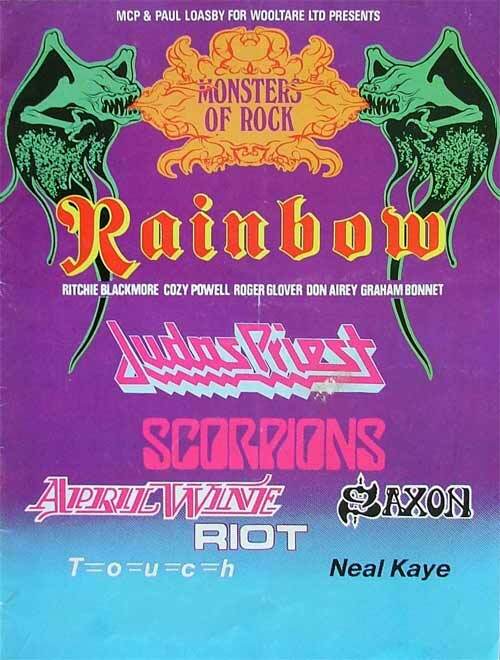 With Y&T and “Black Tiger,” I missed both at the same time. Riot were one band that, all throughout the 80s, I always intended to listen to but never got around to doing so. The opportunity finally came in 1987 when my sister made me a tape of various metal songs on it for my birthday and one of those songs was the great opener, “Swords and Tequila.” That song had and still has the same effect on me that Hanoi Rocks’s “Tragedy” has on me. I want to jump about my living room playing air guitar to it. “Swords and Tequila” has another dimension to it though. The stick in your memory line “Swords and tequila carry me through the night,” had actually meaning for me. Okay, I never had much use for the first item in the title but there were times when the second item did what the rest of what that line says. Oooh, fond memories indeed. 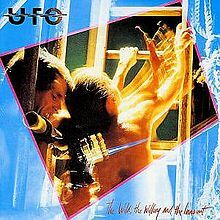 If I had listened to the “Fire Down Under” back in 1981, I would say that it would be the album that set the standard for all future heavy metal. In that sense, it could be argued that Riot were ahead of their time. That could be why they never had the commercial success they should have. There are so many great songs in the classic heavy metal sense that if I were to mention them now, I wouldn’t have to write a track listing but I will say the second half of the album probably just edges out the first. “Don’t Hold Back” is a definite stand out here and I love the guitar solo in it. “Altar of the King” starts with really cool acoustic intro before blowing you ear drums with some great power chords and “No Lies” follows on very very nicely. Saying that, I can’t take anything away from the rest of the album because it’s just that damn good. After both Hanoi Rocks’s “Tragedy” and “Swords and Tequila” in back to back posts, I find myself contemplating what it would have been like if I had heard both of these songs back in 1981. It would have been mind blowing for sure! Way back when I first introduced 1981, I said that music got me through some rather difficult times that year. 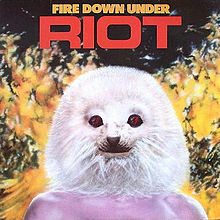 It would have been even more up lifting to have had “Fire Down Under” from Riot. If I had heard it back then, I would have declared myself a total metalhead right there and then.